Because I am not a large fan of computer generated results, I wrote down the names of each person who submitted a comment on the original give-away post from last week. Each name was folded once and randomly put into a crystal dish. The name which was pulled as the winner for the 2 volume set of Madeleine L’Engle’s Kairos Novels is: Nadia. A big thank you to all who read the post and entered for a chance to win. A big congratulations to Nadia, of A Bookish Way of Life. May you enjoy these novels as I have in my life. containing the Wrinkle in Time Quartets and The Polly O’Keefe Quartets. and here are two of the Polly O’Keefe Quartet. But, how lovely it is to have a two-volume set, with each volume containing all four of each series. Volume 1 contains A Wrinkle in Time, A Wind in the Door, A Swiftly Tilting Planet, and Many Waters. Volume 2 contains the Polly O’Keefe Quartet, which consists of The Arm of the Starfish, Dragons in the Waters, A House Like a Lotus, and An Acceptable Time. The Kairos Novels are edited by Leonard S. Marcus and published by the Library of America. 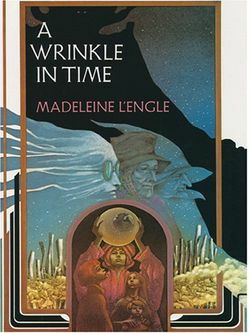 Few works loom as large in the history of young adult literature as Madeleine L’Engle’s 1962 Newbery Award-winning classic, A Wrinkle in Time. A truly revolutionary book blending realism and fantasy, science and religion, it was the first great crossover classic, appealing to children, teens, and adults, and setting the template for books such as Harry Potter and The Hunger Games. 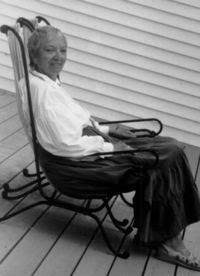 Now, in time for L’Engle’s centenary on November 29, 2018, Library of America brings readers MADELEINE L’ENGLE: The Kairos Novels, a deluxe two-volume set gathering Wrinkle and all seven of its sequels for the first time; an eight book sequence L’Engle collectively called the “Kairos Novels,” named for the Greek word for cosmically critical moments of time. Edited by Leonard S. Marcus, one of the world’s leading writers on children’s books and the people who create them, this authoritative edition presents A Wrinkle in Time in a newly corrected text based on research in L’Engle’s archives and includes an appendix with four never-before-seen deleted passages. 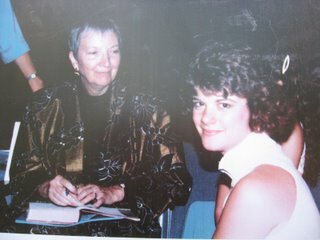 Two of Madeleine L’Engle’s books changed my life. One was A Wrinkle in Time, the other was The Love Letters. They both taught me things about love I had never really understood before. I treasure rereading these classic books, most beloved by me. And, I have the opportunity to give a set away (U. S. only, please). If you are interested in being considered for the give-away, please leave a comment below. I will select a name a week from today (on October 9). “What else is there?” Mrs. Murry’s voice was low and anguished. A MacGuffin (sometimes McGuffin or maguffin) is “a plot element that catches the viewers’ attention or drives the plot of a work of fiction”. Sometimes, the specific nature of the MacGuffin is not important to the plot such that anything that serves as a motivation serves its purpose. The MacGuffin can sometimes be ambiguous, completely undefined, generic or left open to interpretation. The MacGuffin is common in films, especially thrillers. Commonly, though not always, the MacGuffin is the central focus of the film in the first act, and later declines in importance as the struggles and motivations of characters play out. Sometimes the MacGuffin is even forgotten by the end of the film. So, even if you don’t like Madeleine L’Engle (impossible as that is for me to imagine), or fantasy (which is less impossible), you have now either learned something new or been reminded of a literary technique. Fascinating, huh? In this third book of The Time Quartet, Meg must kythe with her fifteen year old brother Charles Wallace as he rides the unicorn Gaudior to vanquish their foe. More important to me than the plot, is the message within it: as always with Madeleine, a message of faith despite what one sees. When Kailana said she would host a read along for the Time Quartet, I couldn’t refuse. Never mind that I’ve read them over and over and over since 1973; every single time I read Madeleine I gain a new perspective. I used to think that A Wrinkle in Time was “only” about love. It is a huge lesson in love. By realizing her love for her brother, Charles Wallace, Meg realizes she has something which can wrest him away from the power of IT. In fact, it is the only thing she can use that has any power. It was an important lesson for me at 11 years of age, sitting in my sixth grade English class, and one I’ve needed remediation in several times since: hate cannot win in the face of love. But, there’s so much more. This time around I saw Madeleine was writing about more than hate; in particular, I saw her address conformity. There is a certain evil in the expectation, or even desire, that we should all be the same. When we have given up our identity, our own special uniqueness, we might as well have given up our souls. As she cried out the words she felt a mind moving in on her own, felt IT seizing, squeezing her brain. Then she realized that Charles Wallace was speaking, or being spoken through by IT. “Good girl, Meg!” her father shouted at her. But Charles Wallce continued as though there had been no interruption. “In Camazotz all are equal. In Camazotz everybody is the same as everybody else,” but he gave her no argument, provided no answer, and she held on to her moment of revelation. Hate and love are two entirely different things; like and equal are two entirely diffferent things; control and freedom are two entirely different things. Thank you, Madeleine, for reminding me that we are all fearfully and wonderfully made. I’ll Always Love You, Madeleine. But for the impact in my life that she created I will always be grateful. I’m sure she’s rejoicing with all the angels and her Heavenly Father. 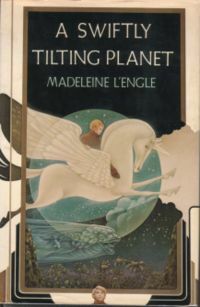 My copy of Madeleine L’Engle’s A Swiftly Tilting Planet is yellow with age. The copyright date is 1982, and I discovered that I had bracketed certain passages in a bright pink Flair when I first read it 25 years ago. The past few days have shown me how swiftly tilting the world can be; since Friday, May 25, my world has turned upside down. I began the school year with a son to whom I felt incredibly close. I end the year with the same son being diagnosed ADHD, with some unknown depressive component, and a suspension for drinking vodka given to him by a fellow student. The planet tilted swiftly all right, at least for me. It’s funny how several times in my life I’ve gone through a small crisis, and Madeleine L’Engle’s words have brought huge comfort. It happened with this book, too. Charles Wallace felt a ripple of cold move along his spine. “Hold my mane,” the unicorn advised. “There’s always the possibility of encountering an Echthros, and if we do, it’ll try to unseat you.” (p. 47 in my Dell copy, which cost $2.50 in 1982). Did you catch that last line? “It’ll try to unseat you.” Those words struck at the very core of me; I have rarely felt so “unseated” as I have this week. Once again, fantasy is not so far from reality, at least for me. While Meg kythes with Charles Wallace from her attic bedroom, he must go Within other people in different times and different places, to stop an evil outcome from occurring. Each time, one aspect of the rune is revealed. It’s time travel, yes, but there are also fantasy elements with the unicorn, the echthroi, the Projections they are able to place in Charles’ way, and the life sustaining powers of the Wind. 1. Don’t allow yourself to be unseated. 2. Don’t be under the impression that it is possible to control things. 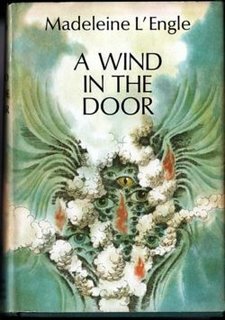 Madeleine L’Engle’s sequel to A Wrinkle in Time continues with the theme of “love conquering all” as Meg, her brother Charles Wallace, and Calvin O’Keefe make the acquaintance of a “dragon” which turns out to be a cherubim. Once again, Madeleine takes holy icons and casts them in a new light: imagine meeting an angel, with many wings, and eyes, and puffs of smoke. An angel who is able to kythe with you. Kything is Madeleine’s word for the ability to communicate without words, using only your thoughts and the understanding of the person with whom you kythe. It sounds fantastical, but I think this occurs in real life. I’ve been able to perceive what a loved one is thinking, perfectly, without words. A simple gesture, expression or significant glance, is often more revelatory of a person’s thoughts than words. Especially when one is in love. I’ve never kythed with an angel, of course, but aren’t there people with whom you can clearly communicate non verbally? In order to save her brother, Charles Wallace, who’s mitochondria are being attacked, Meg must pass a series of three tests. Tests which aren’t even clearly laid out for her. The first one involves distinguishing which Mr. Jenkins (the school principal) is the real one of three, and which two are echthroi. Echthroi is plural for echthros, an evil which is able to extinguish anything in Creation. From stars in the galaxy to people on Earth. The echthroi are trying to extinguish Charles Wallace, and once again, we find Meg battling them to save him. She is able to do that by Naming, a concept I will leave you to discover should you choose to read this sequel. I agree. We cannot comprehend the magic of fantasy any more than we can comprehend angels, “echthroi”, or God. Understanding fantasy, like faith, is a matter of opening our minds to let in what lies beyond the capability of our intellect. I am certain that if the educators in my Junior High School knew what Madeleine L’Engle was really writing about in A Wrinkle in Time, they never would have put it into our sixth grade hands. Madeleine wrote the first in her fantasy series for Young Adults in 1959-1960, and withstood over forty rejections before it was finally published in 1962. I remember reading in one of her books that she received so many rejection slips she could have wall papered her office, and perhaps this is one of the reasons that this book has become so meaningful to me. It shows her fierce determination not to give in when she believes in something. But, there are many other reasons why I love it. Who writes like that anymore? Is there such substance in children’s books today? In my opinion, not nearly to the extent that Madeleine writes. And this isn’t the “worst” of it. “Mr. Murry bent over her, massaging her cold fingers. She could not see his face. “My daughter, I am not a Mrs. Whatsit, a Mrs. Who, or a Mrs. Which. Yes, Calvin has told me everything he could. I am a human being, and a very fallible one. But I agree with Calvin. We were sent here for something. And we know that all things work together for good to them that love God, to them who are the called according to his purpose.” (p. 172) Hello! That last sentence is Romans 8:28 straight out of the King James Version. Or this: “Mrs. Who took the spectacles and hid them somewhere in the folds of her robes. ‘The virtue is gone from them. And what I have to give you this time you must try to understand not word by word, but in a flash, as you understand the tesseract. Listen, Meg. Listen well. The foolishness of God is wiser than men: and the weakness of God is stronger than men. For ye see your calling, brethren, how that not many wise men after the flesh, not many mighty, not many noble are called, but God hath chosen the foolish things of the world to confound the wise; and God has chosen the weak things of the world to confound the things which are mighty.’ ” This is 1 Corinthians 1: 25-28. I don’t mean to give a Sunday school lesson here. I’m just amazed that Madeleine L’Engle wove the philosophy of her belief, Christianity, into a fantasy story. One which shows us that ultimately, evil will be defeated because love overcomes hate. And she did it using fantasy as her genre, a fact which really ticks off some Christians I know. But, not me.